LiTHIUM X is a lithium resource exploration and development company with a focus on becoming a low cost supplier for the burgeoning lithium battery industry. LiTHIUM X is a lithium exploration and development company with a focus on becoming a low cost supplier for the burgeoning lithium battery industry. Lithium X Energy Corp. is a lithium exploration and development company with a goal of becoming a low-cost supplier for the burgeoning lithium battery industry. 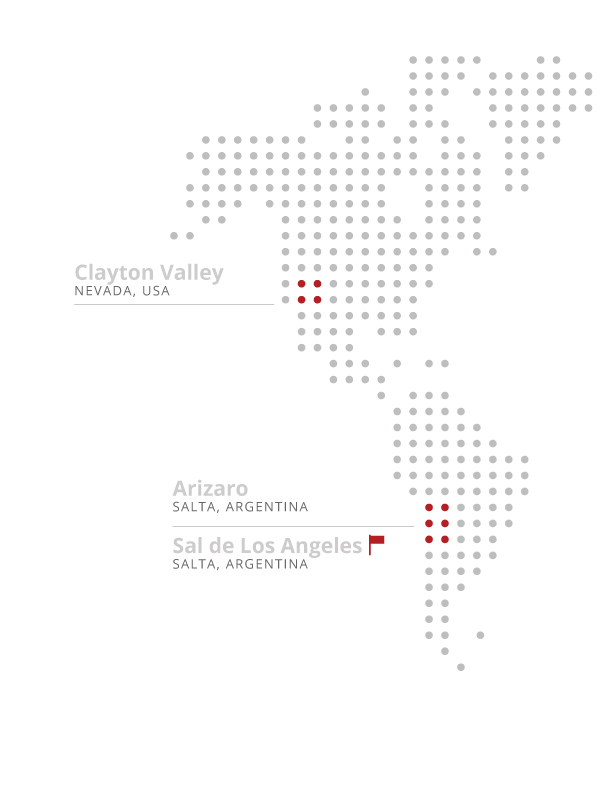 The Company holds two projects in in the prolific “Lithium Triangle” in mining friendly Salta province, Argentina as well as participating in the Clayton Valley in Nevada through its ownership interest in Pure Energy Minerals Limited (“Pure Energy”). The Company’s wholly-owned flagship project is the Sal de los Angeles lithium brine project. Subject to the completion of the Orocobre Agreements, the project consists of 8,854 hectares covering 100% of Salar de Diablillos, and has a 43-101 mineral resource estimate of 1.037 million tonnes of lithium carbonate equivalent in the indicated category and 1.007 million tonnes of lithium carbonate equivalent in the inferred category. The Company’s second Argentinian project, the Arizaro lithium brine project, consists of 33,846 hectares covering part of the western and eastern portions of the Salar de Azario, one of the largest known salt lakes in the world. In Nevada, the Company consolidated its Clayton Valley holdings with those held by Pure Energy, in the process becoming Pure Energy’s largest shareholder, holding 19.9% of Pure Energy’s outstanding common shares and share purchase warrants that, if exercised immediately, would increase its ownership interest to 22.5%. Pure Energy’s combined holdings in Clayton Valley consist of more than 10,500 hectares (approximately 26,300 acres). Management continues to actively pursue strategies to enhance its project portfolio.